Lower prices coupled with America’s penchant for protein could signal record meat consumption in 2018. The U.S. Department of Agriculture (USDA) forecasts that the average consumer will eat 222.2 pounds of red meat and poultry this year, surpassing a record set more than a decade ago. However, it’s more than the right price and eschewing carbs that’s driving meat department sales. “The buzz continues to be better-for-you options. 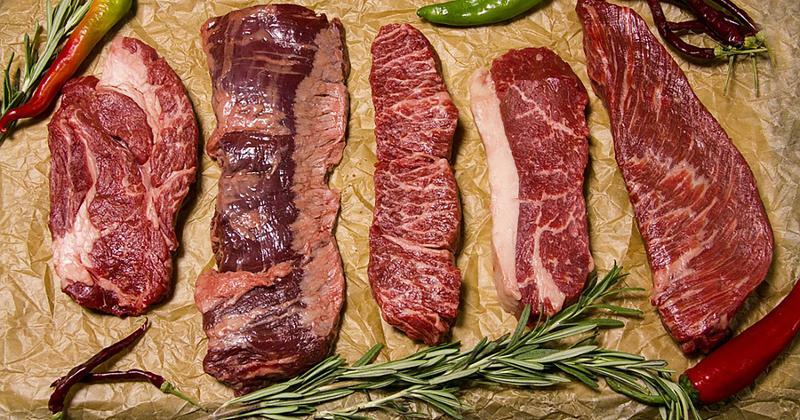 Grass-fed, hormone-free, non- GMO certified, humanely raised, organic—those are the growth areas in the meat sector,” says Lenny Lebovich, CEO of Pre Brands in Chicago. 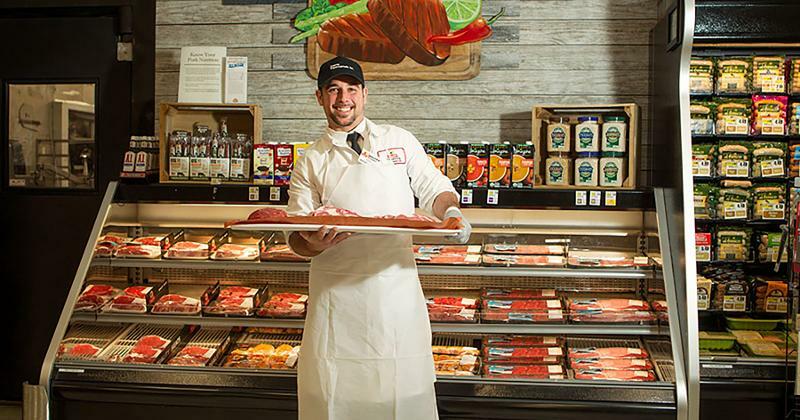 While labor remains a challenge for many grocers across the country, some supermarkets are finding success with what Lebovich calls,“doubling down on butcher services”—making a strategic move to expand their services at a time when other retailers are cutting back. 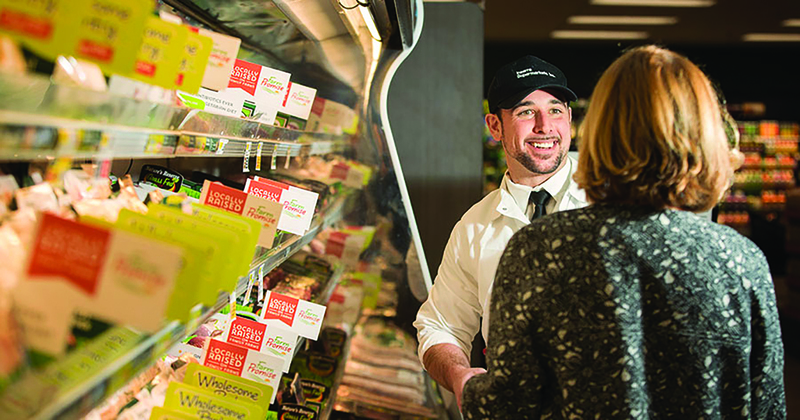 Take Keasbey, N.J.-based Wakefern Food Corp.’s ShopRite stores, whose highly trained butchers serve as in-house experts, helping to elevate the customer shopping experience. ShopRite butchers grind fresh beef daily in stores, and are available to cut beef, pork, lamb and veal. They will also marinate and season meat upon request. The grocer recently expanded its organic and natural selections to meet the growing demand for healthful premium meats. “More shoppers today are seeking grass-fed, organic and pasture-raised meats, and ShopRite provides a variety of organic and natural foods in the meat department,” says O’Shea. ShopRite of Hillsdale, which is owned and operated by the Inserra family as part of their Inserra Supermarkets Inc., recently opened one of the first USDA-certified organic butcher shops in a supermarket. The store’s butchers can custom-cut organic beef, poultry and pork on a USDA-certified counter dedicated to organic food preparation. Another notable stepping up its in-store butcher game is Meijer, the Grand Rapids, Mich.-based retailer that operates 235 supercenters and grocery stores. “Meijer does a masterful job with the meat category,” says Lebovich, who also points to Mariano’s, a division of Cincinnati-based Kroger, as a standout in supermarket butchery. Pre Brands premium meats are offered throughout both grocers’ locations, and the brand is supported by Pre’s own team of approximately 100 brand ambassadors who engage with customers at the store level. “By putting our own people in the stores to support the brand, we create a certain velocity that assures profitability and grows the consumer baseline quickly,” says Lebovich. This past December, Meijer created a 12 Roasts of Christmas, featuring a variety of recipes for roasts along with wine pairings. And year-round, Meijer meat buyers are on hand to personally offer shoppers tips on selecting the perfect cut, from tender strip roasts to elegant tenderloin roasts and lean top sirloin roasts. Meijer also reportedly sold more than $7 million in Certified Angus Beef the week leading up to Christmas day. 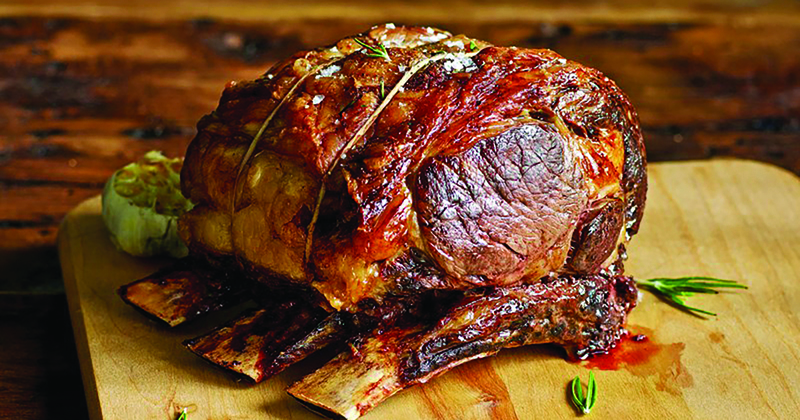 A remarkable 70% of the retailer’s rib roast sales happen three days before Christmas. In all categories, but particularly in perishables, consumers want to know the story behind their food—where it came from, how it was produced and the path it took to their local grocer. And while premium meat still represents a relatively small percentage of the overall category, this desire for transparency is driving growth. “Shoppers increasingly seek transparency into meat/poultry ingredients and production practices, fueling double-digit growth for organic, antibiotic/hormone-free, grass-fed and other special attributes,” reports the Washington, D.C.-based Food Marketing Institute (FMI) in its annual The Power of Meat 2017 report. “According to recent studies, the butcher is the second most trusted position in the grocery store behind the pharmacist,” says Theiler of Agri Beef. As such, skilled in-store butchers can be a powerful resource when it comes to educating consumers and increasing meat department sales. “We are increasingly seeing retailers recognize the value and credibility that a knowledgeable and creative butcher brings to their stores in terms of helping consumers understand the types of cuts and proper cooking techniques,” he says. Grocers who provide total meal solutions with premium meats as a focal point can differentiate from the competition by offering the added value and service customers seek. “We are seeing an evolution of the meat department, as it plays an evermore important role as the incubator or source of convenient meal solutions,” says Theiler. Indeed, FMI finds that a growing number of consumers are looking for the convenience of complete meal solutions in the meat department. “Thinking like the shopper by positioning fresh meat as part of a total meal solution versus meal component piques shopper interest,” notes FMI, which further finds that ready-to-prepare meal kits in the meat department draw the attention of 53% of shoppers. “Fresh, real and less processed foods” topped the food culture trends for 2017, according to industry thought leaders at The Hartman Group in Bellevue, Wash. The story is no different with meat, where consumers are looking for maximum flavor and texture, all-natural callouts and nutritional value. 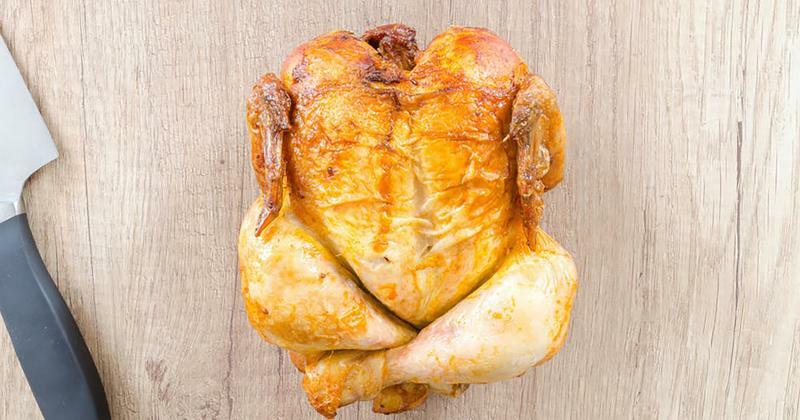 “For premium meat, the real movement today is that consumers value more than just taste. They want good food that’s good for them, from brands and vendors that they trust,” says Lebovich, who says “premium meat” is a combination of two factors. “First and foremost, premium meat has to deliver on the full meat-eating experience (taste, tenderness, juiciness)—but it also must give people permission to enjoy it, enabling them to feel good about their food choices,” he says. The challenge for some grocers in this perishable category may be the pace at which premium meat sales are rising. Lebovich estimates that organic, grass-fed and never-ever beef sales combined are between $800 million to $1 billion. And while numbers for premium beef are going up, according to Nielsen data, sales of grass-fed beef for the 52 weeks of Q2 2017 vs. 2016 showed about 3% growth. Pre, which has made a long-term commitment to employing brand ambassadors who engage with consumers, has delivered about 1 million samples in the past 24 months at supermarkets, gyms and more. 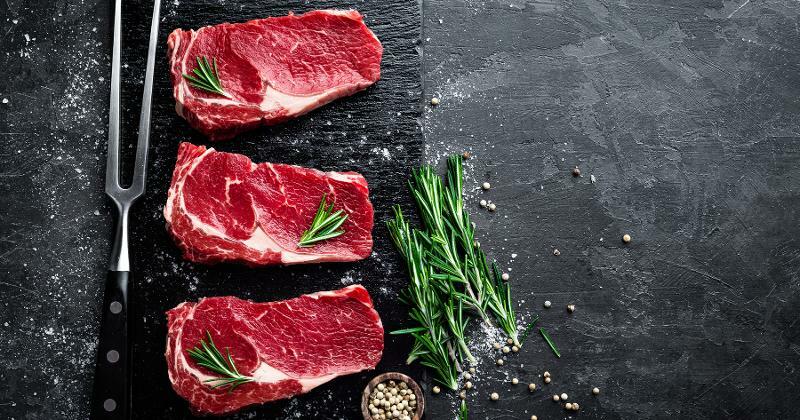 While consumer demand for better-for-you protein is driving interest in the premium meat category, better communication and education may be important factors in gaining true sales momentum. For Agri Beef, this means educating retailers and consumers about its premium Snake River Farms American Wagyu ground beef, available in 1-pound “brick” packs for retail. While the cattle is raised to produce a ground beef with a more intensely sweet and buttery flavor, Theiler notes that the Wagyu ground beef also contains more omega-3 and -6 fatty acids, as well as more healthful monounsaturated fatty acids than other beef. 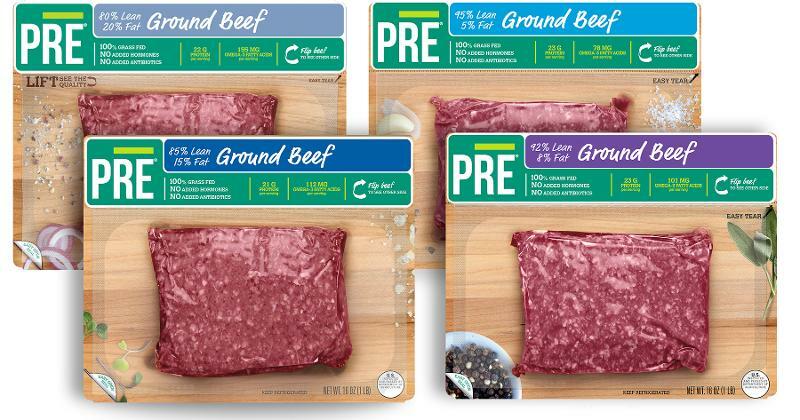 Pre Brands has expanded its offerings with new lean and higher-fat ground beef and patties to appeal to people with different eating experience goals. 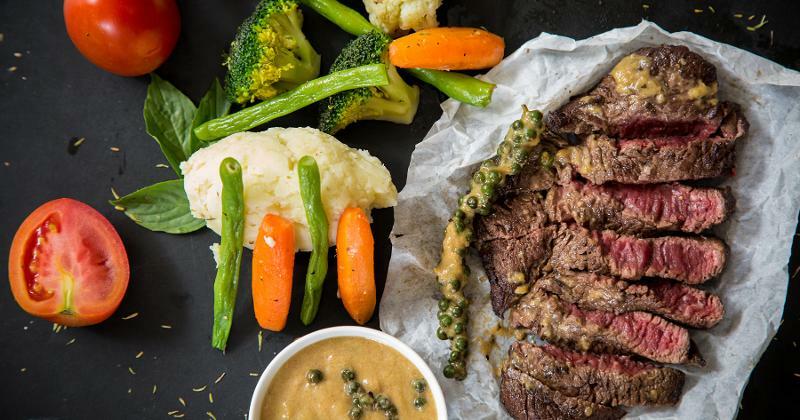 “Many consumer segments are recognizing that the fat in 100% grass-fed beef is nutritionally different than the fat of the red meat they’re used to, and are catering their diets to include it more often—for example, consumers following a paleo diet,” says Lebovich. “Today, retailers are trying to make the meat case more of a destination for consumers—making it a smooth and personal experience,” says Kent Harrison, VP of sales and marketing for Tyson Fresh Meats in Dakota Dunes, S.D. To help grocers boost their in-store butcher credentials, Tyson Fresh Meats is introducing a Certified Butcher program for its Chairman’s Reserve Prime Pork brand. “The overall goal of the program is to have an elite group of retailers armed with the knowledge of the brand to best serve the consumers and be brand advocates,” Harrison says. To become certified, butchers must complete multiple training courses and pass a series of quizzes. The program is supported by the Tyson Fresh Meats Team Field Sales Consultants, who offer sales data analysis, market-customized planograms and marketing support to ensure traffic is heading to the meat case. The term “never-ever” with regard to meat began in 2009 as part of a marketing claim and verification program of livestock by the Agricultural Marketing Service. It means no antibiotics or hormones administered, and no animal byproducts fed at any point in the animal’s life. “Health and wellness is big with consumers and because of that, the trend for natural, no-antibiotics-ever meat will continue,” says Harrison. Tyson’s Open Prairie Natural Meats offers both beef and pork with no added hormones and no antibiotics ever. Last year, Tyson Fresh Meats launched its Chairman’s Reserve Prime Pork brand that features hand-selected pork with high standards of color, pH and marbling. “We know there are consumers willing to spend more on an ultra-premium pork brand, and retailers want a product line that helps them stand out from their competition,” says Harrison.